It was hard for me to decide what to do in Zanzibar. Well, not really. What was hard for me was to accept that I wanted to do nothing but relax. I knew I wanted to enjoy a few peaceful and relaxing days at the beach – just snoozing and reading. And that’s what I did, snooze and read for four days while swinging on a hammock or sitting on the porch of my beach bungalow. Sometimes I felt guilty of doing nothing, but Zanzibar is a place where you can enjoy the guilty pleasure of doing nothing. So I brushed the guilty feelings away and embraced my beach bum persona. 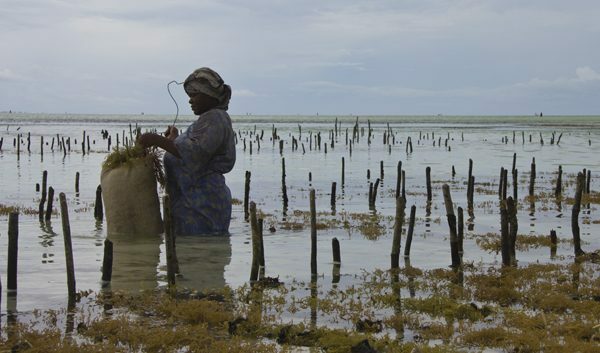 There’s something you should know about Zanzibar. It will have its way to make you stay longer, and it will make you crave it and desire it with all your heart. I had heard it before from so many other backpackers, and now, I became the latest victim of its exotic seduction. 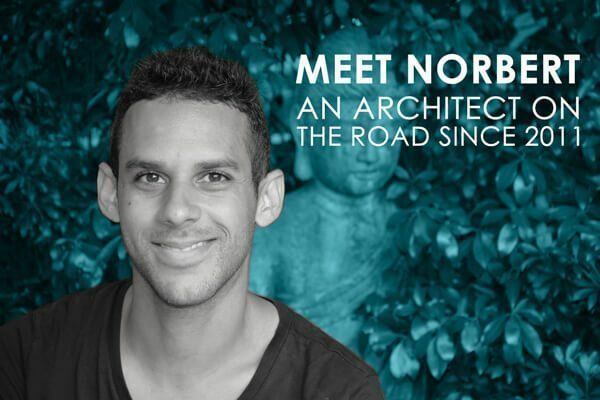 This is an island with a strong blend of Indian, Arabic, and African cultures – all mixed together through the slave trade and commercial routes that once dominated these waters. It is also an island that has survived revolutions, invasions, and wars (they have the record of the world’s shortest war. In 1896 they surrendered to the British Army after only 38 minutes). Ohh, and let’s not forget it is the birthplace of Freddie Mercury. 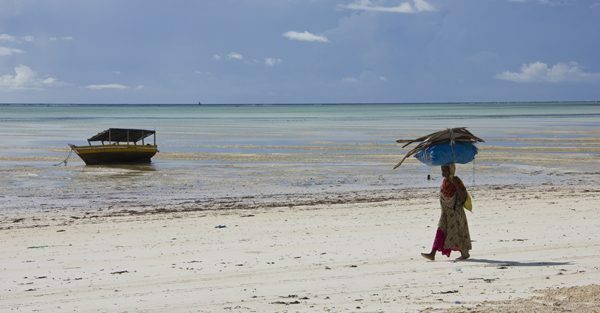 I loved watching the women in their colorful dresses, standing knee-deep in the turquoise water, while gathering mounds of seaweed during the low tide; the dhow boats rocking on the water during high tide while sitting peacefully on the sand during low tide; and the men, women, and children walking up and down the beach in their usual manner. What was supposed to be four days at the beach turned into a full week of tropical paradise indulgence. 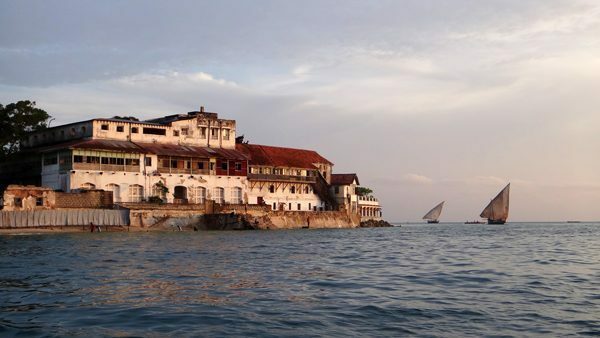 I wanted to explore beyond Paje Beach and to know a little more about Zanzibar’s history, so I made my way to Stone Town – Zanzibar’s capital, and the heart and soul of the island. All around I could see the dominating Arab influence that is present in everything from the architecture, food, dresses, customs, and economy. From the dhow boats that still have the peculiar sail shapes that make them look as if they’ve been sailing since biblical times, to the big wooden double-door building entrances that have a strange (yet charming) proportion with the narrow alleys, to the overhanging wooden verandahs, to the rhythmic prayer calls that fill the air five times a day. 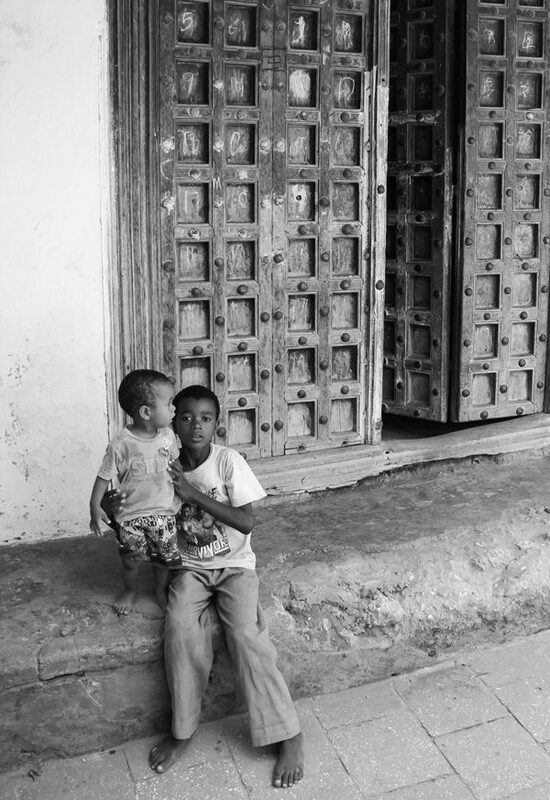 Stone Town is a jumble of cobbled alleyways that make it easy to spend days wandering around and getting lost. Though, I couldn’t get lost for long since Stone Town is not that big and eventually, I ended up either at Creek Rd or at the waterfront. Oh, the waterfront… It is a spectacle on its own during the afternoon. During the high tide, all the young local boys (no girls) jump to the water showing their best air tricks. I had to join them of course. How could I miss this?! 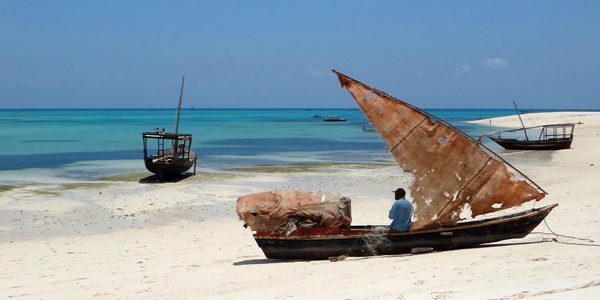 Also good during the afternoon is taking a dhow boat and sail to Changuu (prison) island to see the giant tortoises and to snorkel over its beautiful coral reefs. Beautiful sunset while sailing a traditional dhow? I’m in! Still, there is a lot more beyond Stone Town. And here is where I got adventurous with the dalla-dallas – public transportation. I have to say that a dalla-dalla is an intrinsic part of experiencing Zanzibar. It is the perfect combination of culture and adventure packed into one – one part scam of the mzungu, one part reckless driving, and one part of jam-packed local interaction. I love them! With them, I went to Kendwa Beach (one of the most beautiful beached I’ve been with crystal clear water), the slave chambers at Mangapwani, and a few other places in between – passing through plantations and small villages with mud houses thatched with palm leaves. 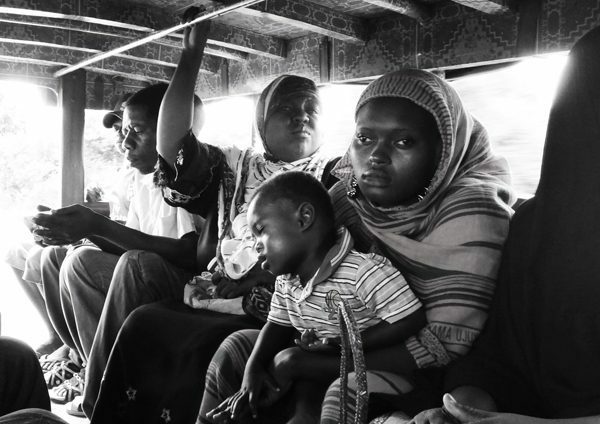 A typical dalla-dalla ride in Zanzibar. There was much more to do in Zanzibar, but like when I was in Caye Caulker in Belize, the island itself asks you to slow down to enjoy it. Go slow – go pole pole. It’s been over a month since I was in Zanzibar, and as I write this, I realize how much I miss idleness and cultural chaos in this beautiful island. 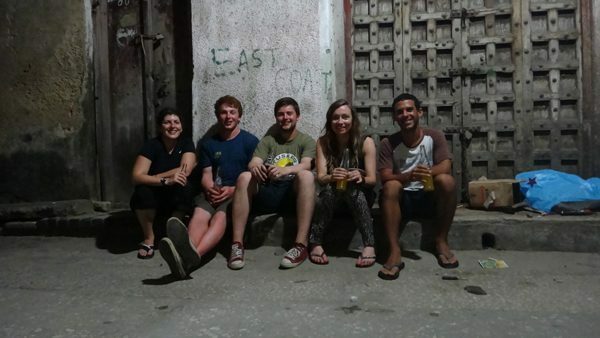 With Avi, Hugh, Dave, and Laura (left to right) in Stone Town. Enjoying some delicious passion and orange Fantas. This makes me so eager for our upcoming visit to Zanzibar. I’ve been dreaming of it for ages… We’ll be stopping off between South Africa and Thailand later this year. Can’t wait! Thanks for the peek at good things to come. 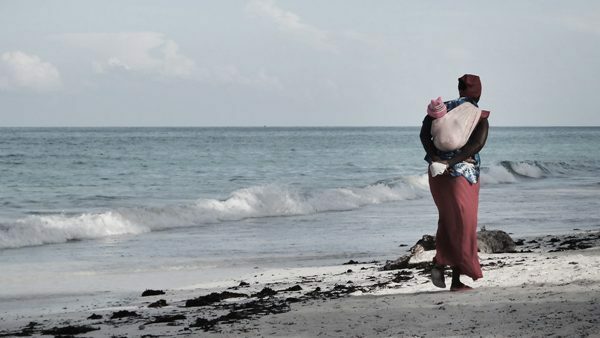 Bathany, you are going to LOVE Zanzibar! And don’t miss the architecture in Stone Town. It is not grandiose, but it is very charming and it has a strong arab influence mixed with a bit of African and Indian culture. So interesting. I’m going to Zanzibar in a few weeks did you feel ok on the dalla dalla? I want to use them instead of taxis but bit worried about my laptop as I’ve been warned against it – what do you think? Oh yes, I was more than fine in the dalla-dallas. I traveled with my backpack (which they throw on the roof) and my daypack (which I kept with me all time since it has my laptop) and I never had any incident or any suspicion of anyone trying to do something about it. 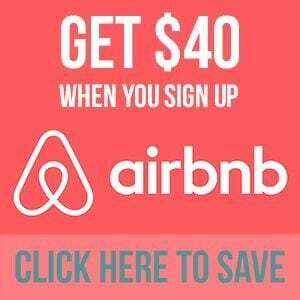 From my experience, dalla-dallas are really safe (and so cheap! ), but I recommend only riding them during the day. Still, they don’t run that late at night. Loved reading your take on Zanzibar, we passed through in Jan/Feb earlier this year, I say passed through we ended staying for a month and even got married in Matemwe…we can’t wait to go back and are even contemplating settling down there! Wow! You guys definitely loved Zanzibar! I can’t blame you! I would have stayed longer if I could! Would be interesting to see how a settled life feels over there. Sounds and looks like a very adventurous trip! Zanzibar is quite an experience! I love it! This is my #1 dream destination!!!!!! Ahhhhhhhh I’m so jealous and of course excited that you’re there! I love your pictures of the locals. Your article is not the usual content for a review of a tourist destination. You had the talent of capturing the experience without the hype but making it more natural and easier to image and feel the place. Really simply and unique.